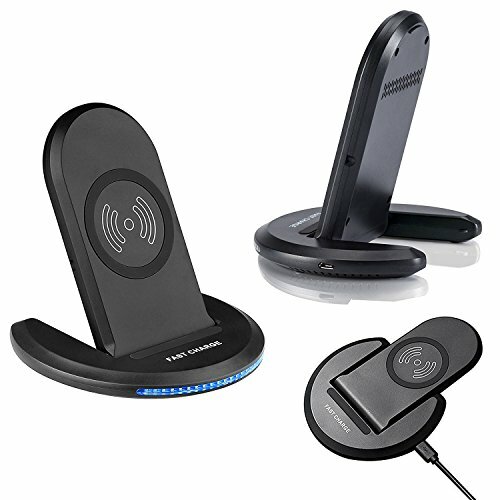 ★ADVANCED CHARGING TECHNIQUE: It has perfect compatibility supporting WPC1.2.1 standard. 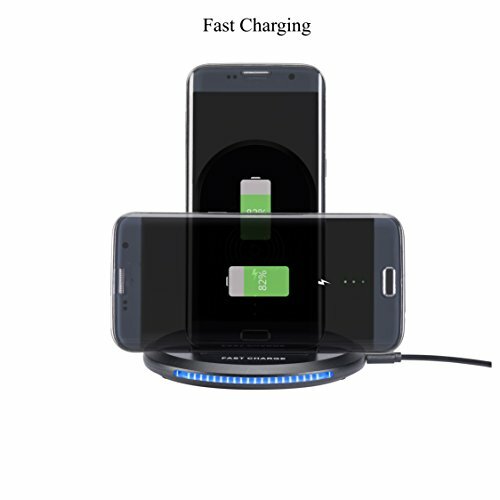 Therefore, it can charge the smartphones which support fast wireless charging like iPhone X, iPhone 8, iPhone 8 Plus, Samsung Galaxy S8, S8 Plus, S7 S7 Edge, Note 8. 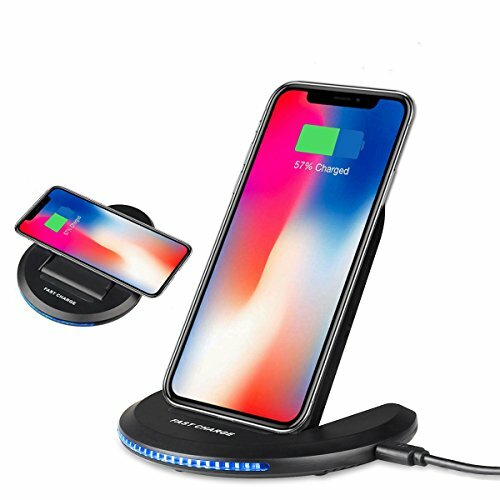 Up to 1.4 times faster than traditional wireless chargers. 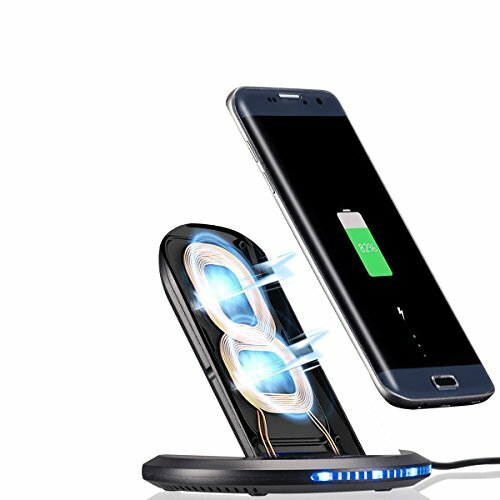 ★SAFE & STABLE CHARGING: Designed with over charging and over temperature protection, which never overcharges your phone or wastes energy. Besides, 5 anti-slip rubber feet at the bottom can ensure stability. 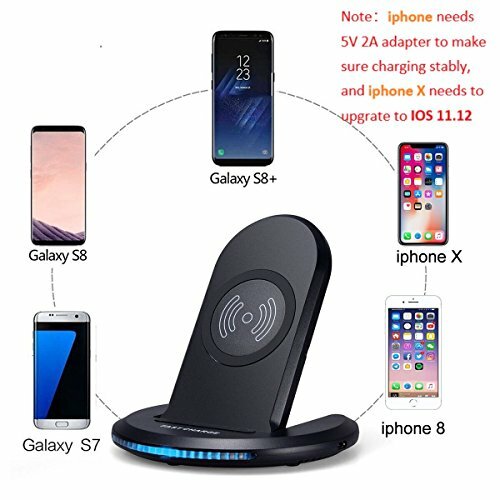 NOTE: 1.IPHONE needs 5V 2A charger plug so our product can charge your iphone more stably and faster. 2.IPHONE X needs to upgrate to IOS 11.12. 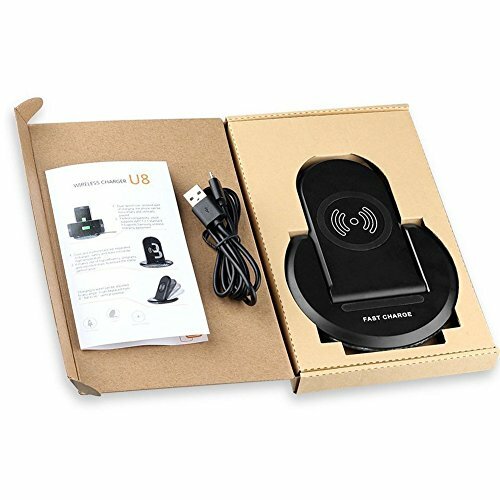 ★SMART LED GUIDING LIGHT: The LED guiding light below the motherboard shows us the status of safe charging. The light will turn blue for 60s when it is plugged in the power and turn off when it starts to charge the phone. Blue Light will flash in 1s/time if the device is not properly aligned. The RED light on when your phone is fully charged. 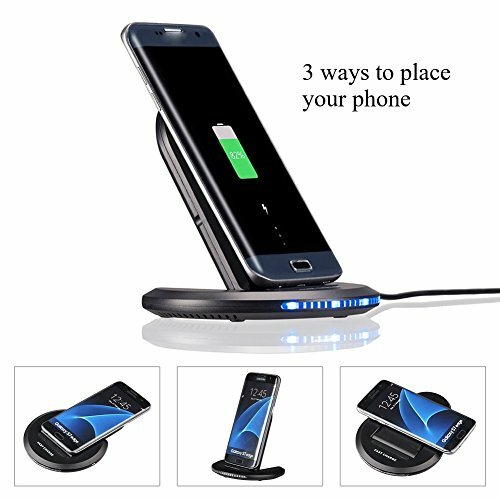 ★FLEXIBLE STAND DESIGN: Thanks to dual-launch coil and no blind spot of charging, you can place your phone in either horizontal or vertical position. 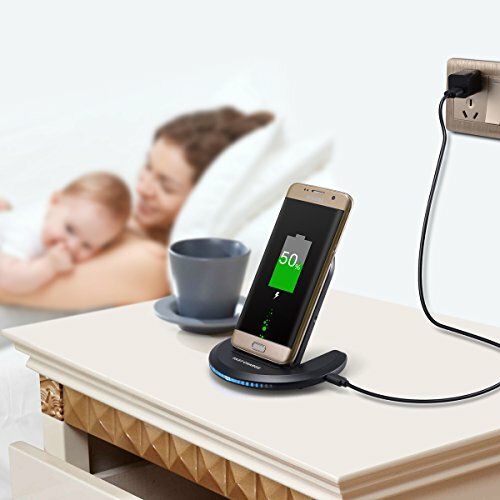 Besides, the cable that comes with is 1 meter long which is the perfect length, because the length of the cable is longer, then its resistance bigger, so the speed of charging will be slower. 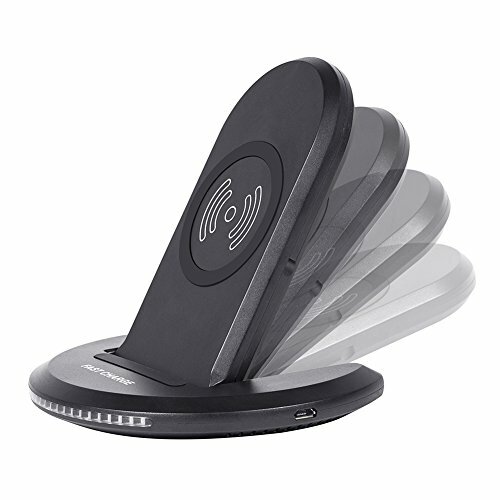 ★FREE ROTATION: Charging bracket can be adjusted to any angle, it can be placed from 0 ºflat to 90º vertical position. You can turn the bracket at ease.